The Temple SOLO 18 is their most compact pedalboard, but don't let the size fool you! 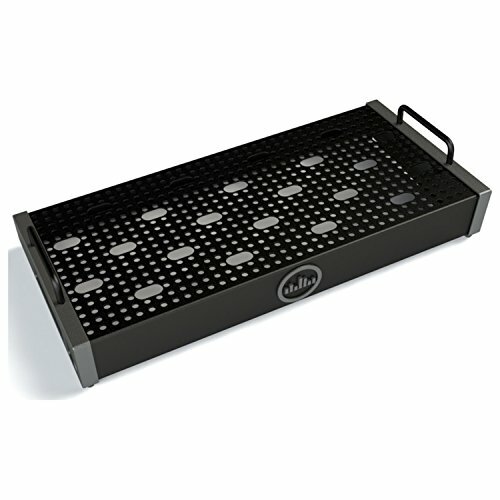 Temple Audio's unique perforated top surface and strategically placed cable management holes allow you to "Tetris" in a lot more pedals than you might think (as well as mount power supply/pedals underneath!). This is a great board for acoustic guitarists, minimalist gurus, or those wanting a secondary board to load up just the essentials for smaller gigs. SOLO series pedalboards feature one (1) micro module slot and one (1) mini module slots per side. If you have any questions about this product by Temple Audio, contact us by completing and submitting the form below. If you are looking for a specif part number, please include it with your message.